When it comes to perfect skincare routines, facials are part of the recipe and I’ve always wanted to have ‘a facialist’. Y’know, someone that you build up a great relationship with, someone that knows your skin type and joins you in the quest for perfect skin! Facials for me, are like massages. An absolute delight, but not something that I can really afford to have on a very regular basis. So when I was offered the chance to try out the services of Lisa Franklin – a highly regarded skincare expert and London facialist – I was like YES PLEASE. 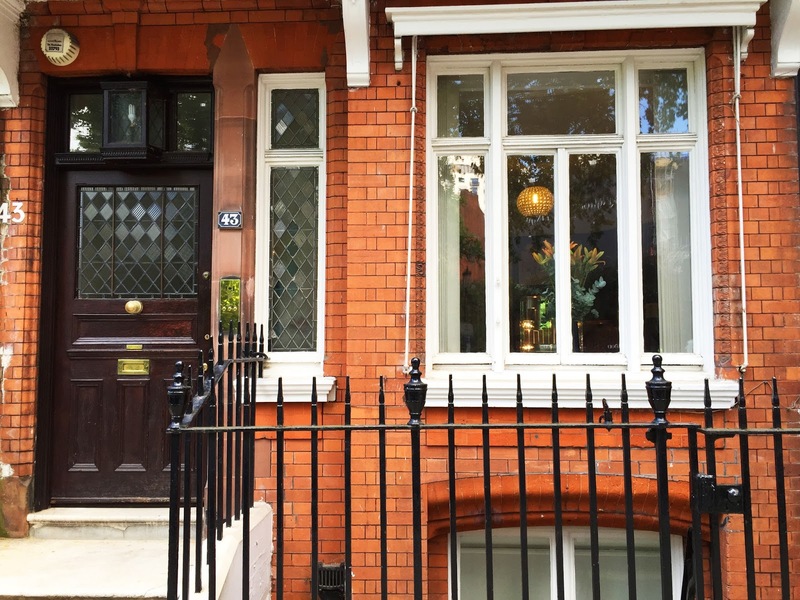 Set in the heart of luxurious Knightsbridge, Lisa Franklin’s clinic is an absolute haven of tranquility, set away from the hustle and bustle of Harrods. As soon as I stepped in, I felt so welcome and happy to be there. Lisa’s approach, treating clients as individuals and not just skin types leads to real, results-driven facials. My experience started with a open and frank discussion about my skin and it became evident that I was using too many products, too quickly – thus resulting in confused, sometimes oily, yet dehydrated skin with dry patches. Sound familiar? Skin diagnosis: Confused, patchy skin, due to diet and overexposure to different products. Help! The treatment room is very much like having a massage, or being in a spa. It’s calming, it smells deliciously of lavender and there are lots of comforting candles and soft furnishings around. First, Lisa cleansed and toned my skin, before applying a light exfoliating gel. My skin was then steamed, to soften the skin before manual extraction – yup, you heard! Manual extraction! I’ve not had manual extraction before, but it literally is like someone squeezing all your spots for you, I’ve looked at videos on YouTube and it looks gross – definitely paying a professional to do it for me because if not done correctly you could end up damaging your skin, leading to scarring. No thanks. More lotions and potions were applied to my skin, before oxygen was then applied directly to my skin to infuse the goodness of the serums into the skin, and also speed up healing. Lovely and relaxing, it feels like a cool burst of air over the skin. I’m pretty sure I fell asleep..
After the oxygen, a high frequency current was passed over the skin. Sounds scary, and believe me – it SOUNDED SCARY when switched on! Lots of zzzaps, near my face! Lisa placed a piece of gauze over my face, before running a probe over my face for a few minutes. The purpose is to kill bacteria and speed the healing of the skin. It was a little bit tickly and prickly and a bit painful around the mouth area but definitely needed for the extra cleanse once the pores had been extracted. As I left, Lisa gave me a bottle of water, a manuka honey sweet and a YogiTea Women’s Energy teabag – it was like a little giftset to take home, very thoughtful! A lengthy facial, I was basically in there for 2 hours! Afterwards my skin was a bit red (as with many facials) and this took a day or so to clear. My skin looked clearer but it wasn’t until a week later when I looked in the mirror after washing my face and had that ‘wow’ moment. My dehydrated patches have almost gone and my skin feels much more even. The bit you want to know: I would definitely go see Lisa Franklin again – unfortunately at about £100 a go, it’s more like a 6 month trip rather than a 6 week one! However, I think the price point is reasonable compared to other high end facialists – a facial with Vaishaly is £250! I would like to keep this up though as my skin is looking much better – booking myself an appointment now in…. December?! Sigh. What do YOU think? Are expensive facials worth it? Do you have a facialist? A WorkOut For Your Face? Forget The Gym, I’m Going to Face Camp! Previous Post August Yahoo Style Blogpost Summary!